Welcome to the Millennial Homemakers! Thanksgiving is almost here - if you're hosting, you've got a lot on your mind. 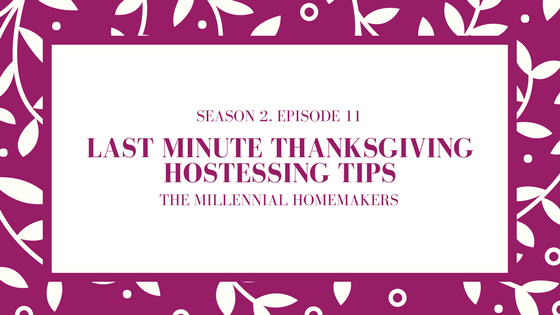 On this episode, we'll share some last minute tips, so you can relax and enjoy the day! Don't forget ice, chairs, and plates!